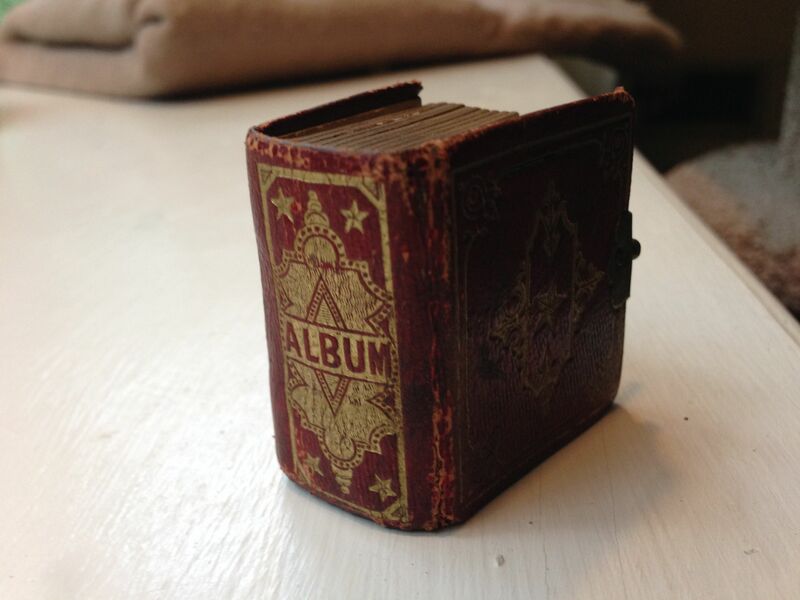 I enjoy owning things that other people have used and loved, but something as intimate as a photo album is different. One almost feels an intruder. And yet, if I had been the owner of this little volume, I would have liked the idea of some person in the distant future keeping it safe and pondering the faces within from time to time. Every single person in the album is long dead, and yet their images remain. This might be my favorite image. The little girl looks very forthright and gazes directly into the camera. 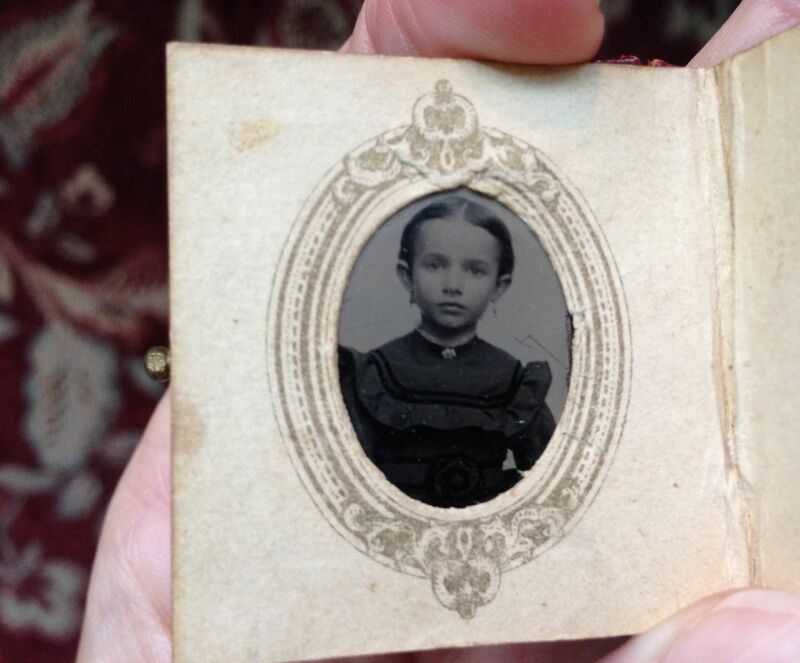 Who knew that little girls in the late nineteenth century were allowed to wear earring? Whoever owned this album filled every single page. Each image is less than one inch high, and they are very difficult to photograph with an iPhone! I’m sure this belonged to a woman. It’s the perfect size for carrying in a handbag. There is something ghostly about many of the images. 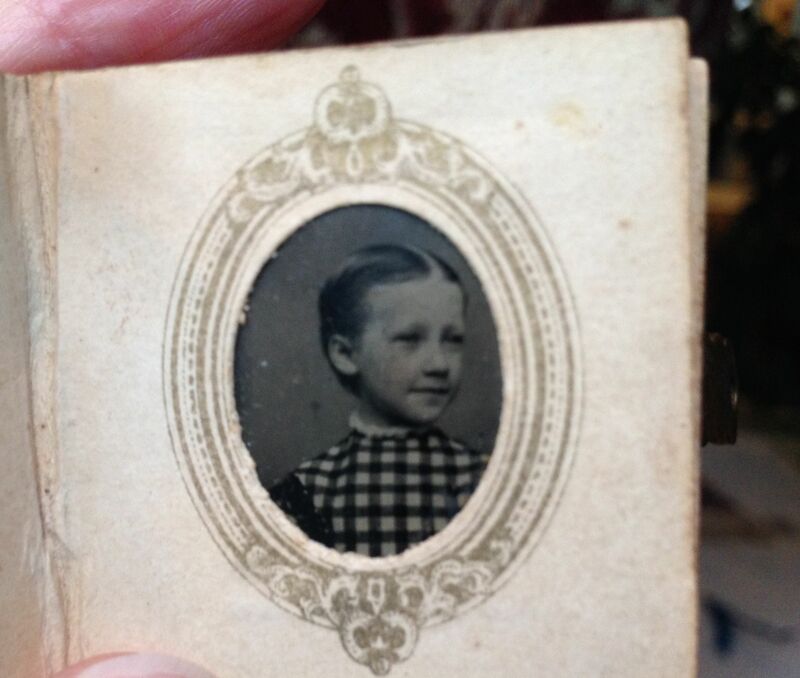 I think they are tintypes, made on thin sheets of metal. 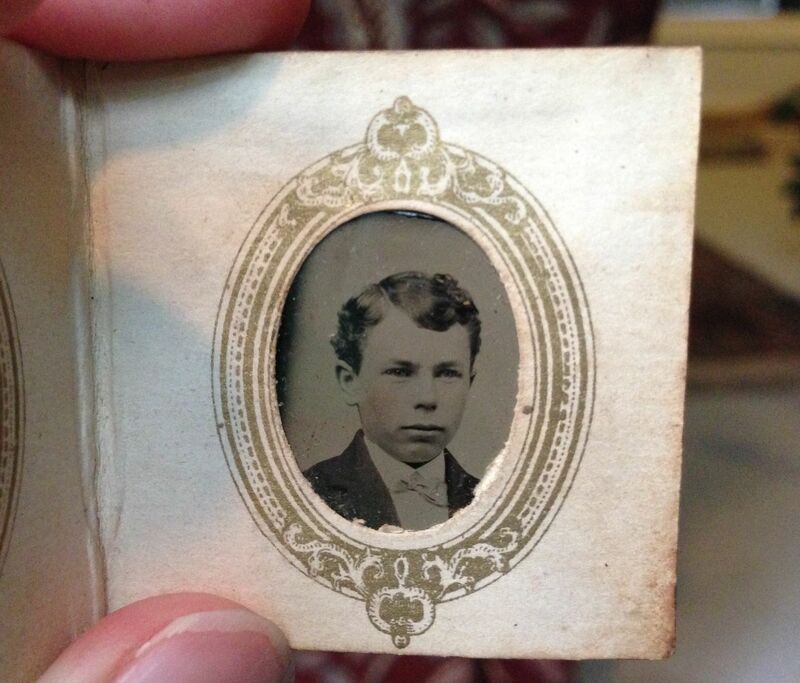 Tintypes were most popular in the 1860s and 70s, which fits the costumes and hairstyles in these photos. The dark background on this one is different from the others. It looks funereal and mysterious. Back then people did not smile when having their portrait taken. I read that this was because in the early days of photography, one had to sit still for several minutes, and it was difficult to hold a smile. Furthermore, many people had bad teeth. And finally, having a photograph taken was a formal occasion that called for a serious expression. Smiling did not become common until the twentieth century. 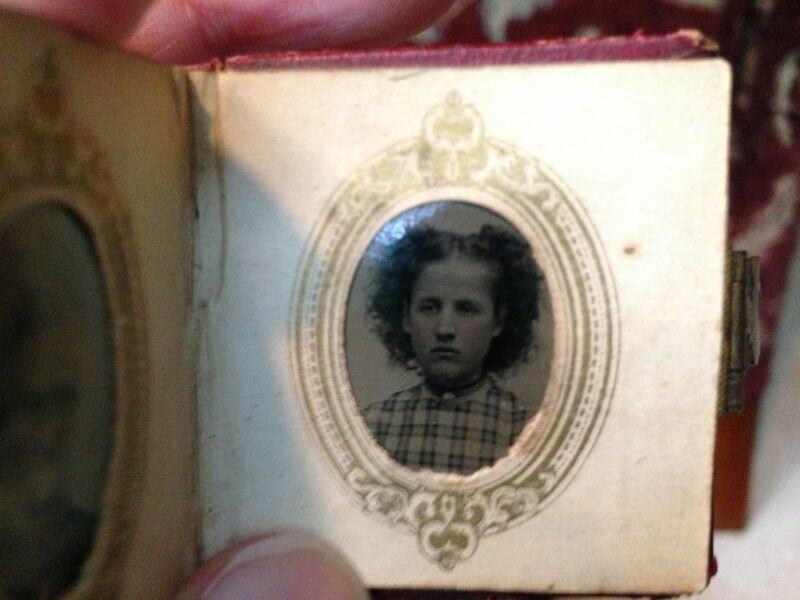 My heart goes out to this unsmiling girl with her curly, out-of-control hair! The girls wear dresses in plaid fabrics with the high necklines of the period. The oldest woman wears what looks like a mourning dress with matching headgear. Perhaps this was her album. The mama of all these children? The patriarch of the family? Look at that face! 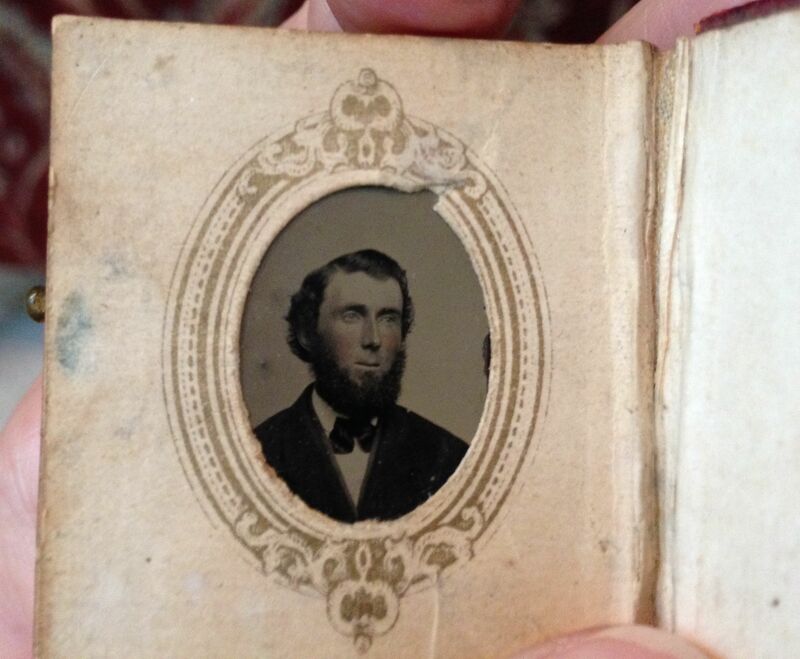 The collection includes two relatively youthful but full-grown men, including this fellow with beard but no mustache–an unattractive but popular style. 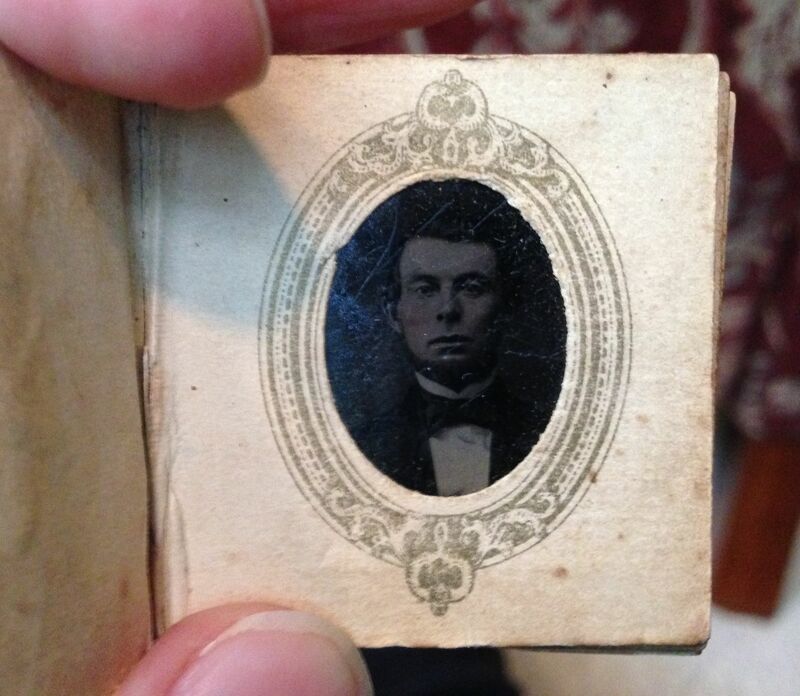 The photographer added color to several of the tintypes, giving the subjects pink cheeks. The title page. Interestingly there is no ownership inscription. 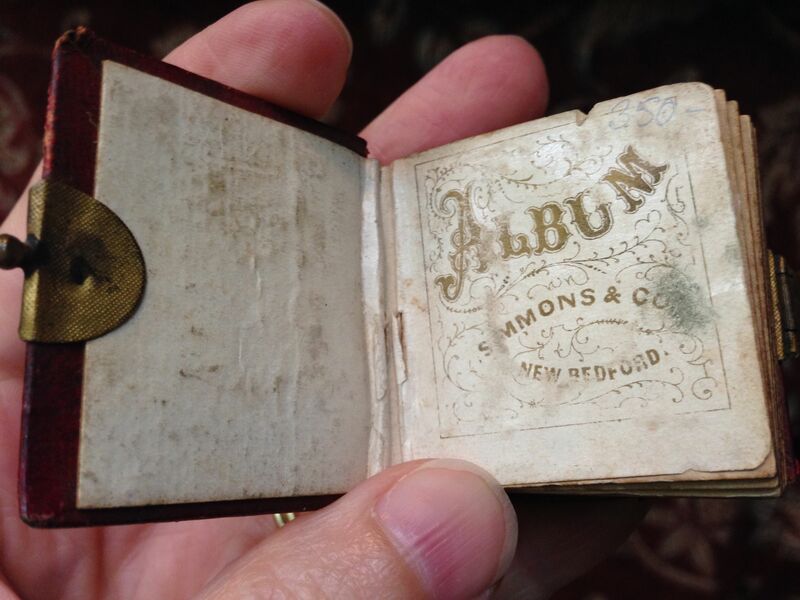 The album has a brass clasp, which is a nice touch. Two more boys, both handsome fellows who look like brothers, yet brothers with very different personalities. Another favorite is this young girl with a Mona Lisa smile. I hope she had a happy life. And I’m glad I was not born in the nineteenth century. Looking up the publisher of these albums, I discovered a similar example for sale online at $479. No, I didn’t pay that much!! It really is a little gem. Oh my, what a beautiful treasure. Thank you for sharing. Oh my goodness, what a treasure to have! How did you come by it? The seller had no more information to give on the origin of this little gem? It is absolutely beautiful! Thank you! No, I received no information about the source, and sadly there are no names inscribed in the album. I would have enjoyed researching them to try to find out more about the family. According to my records, I bought it in an antiquarian bookstore in Phoenix in 2009. 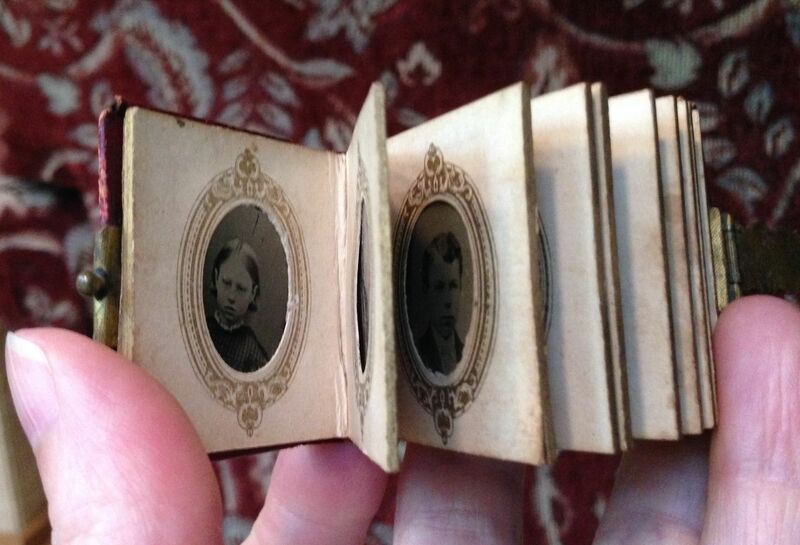 Another great story idea, “The Haunted Photo Album”! I suppose every old photo album has its ghosts. It’s fabulous! I love the patriarch and that first little girl, too. Yes, the patriarch and the youngest girls are my favorites. What a beautiful little album! I would truly treasure that – those little girls are so pretty. Thank you! I think it is a treasure too. So, how many Mb storage space does it have…? Yes, all my photos now are digital, but I’m not sure they will last any longer than this book has. I just inherited the discards of my family’s photo’s. My aunts and mother didn’t want them all, and they went back to the 1800’s. Some, they’d say, they didn’t want because they “didn’t know who they were”…which i found not a good reason, and kept a bunch. They are indeed SO SO SO ghostly. I don’t think we will make such ghostly postmarks. I agree, but what will we look like to people 200 years from now? What’s so different now is the quantity of images we will leave behind. Do you think we will be less interesting” post-mortem because of the plethora? Laughing about the hair 🙂 I always wanted luxurious curly hair, but those who actually have it told me to be grateful I didn’t! I’ve not seen the “Who do you think you are?” show but would like to. Isn’t there an episode with Stephen Fry? Lovely! I just watched the D. Tennant “Hamlet” and was very impressed. He seemed more of a “mad” Hamlet than Cumberbatch. Haha! I meant that there is plenty of hair. Probably “luxuriant” is the better word! 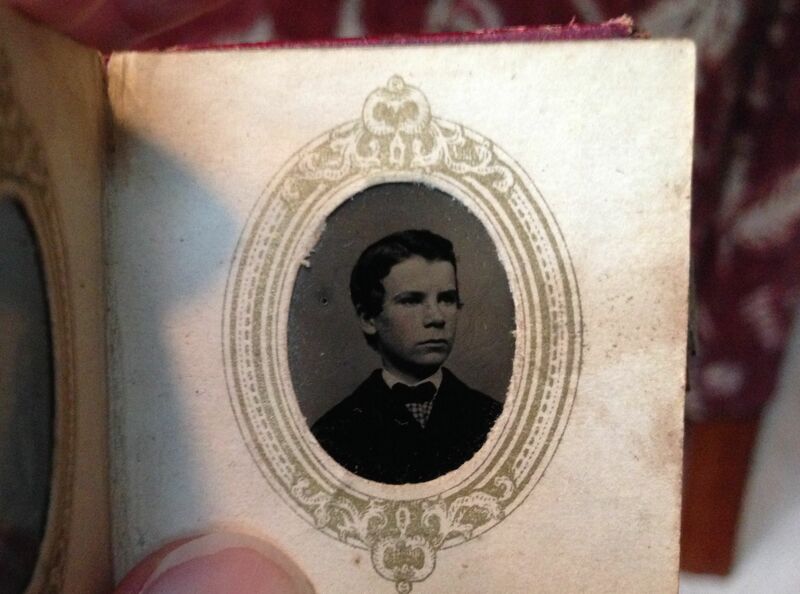 I think it would be neat to make a teeny tiny photo album of friends and family, or really whatever, and make it look like it came from the past. It could be a big goof with lots of unsmiling faces. That would be interesting, a modern version with the conventions of the nineteenth century! 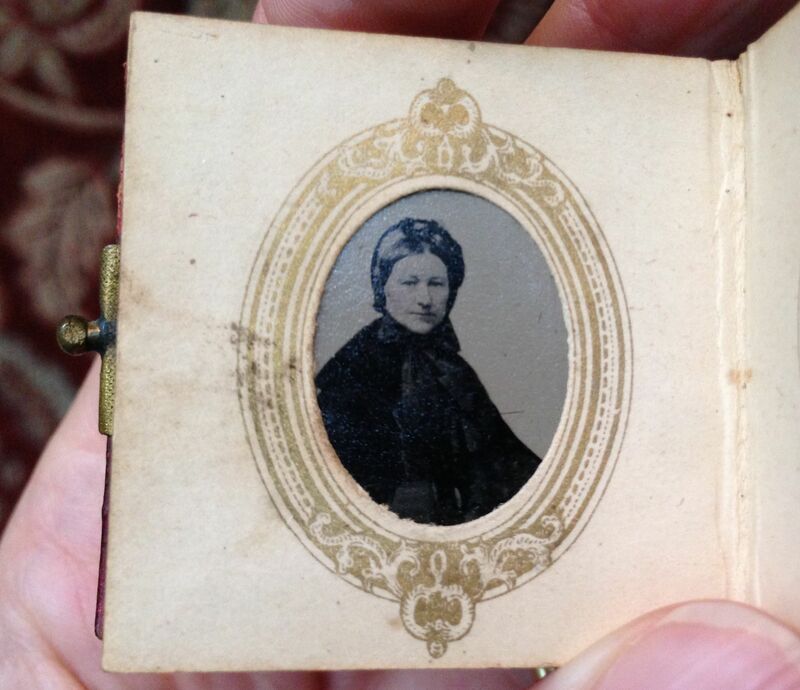 It is interesting to me that the photo makers produced such tiny pictures. I guess they are like the tiny photo icons we use on blogs and twitter. 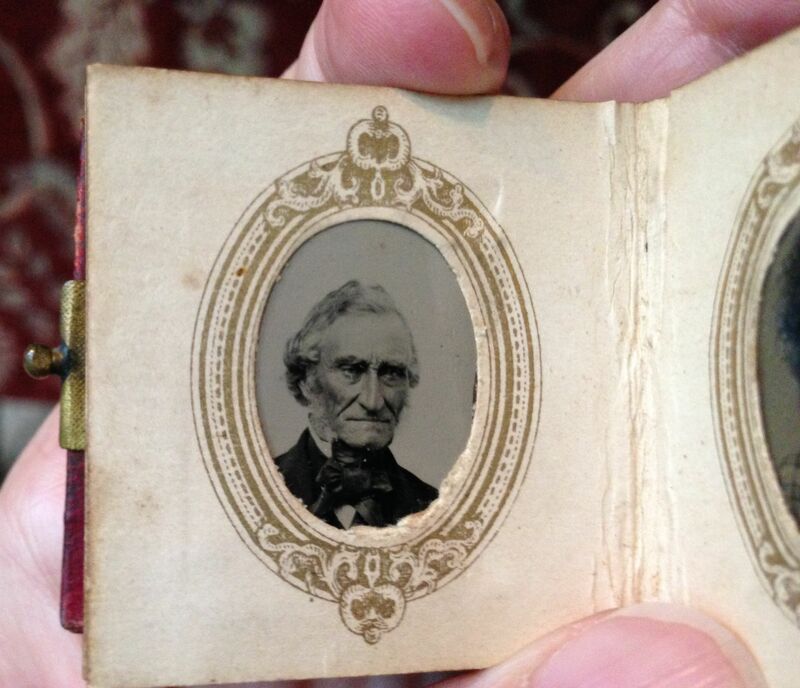 Maybe it was like the little photo inserts in our wallets…something you can carry around with you? Thank you! 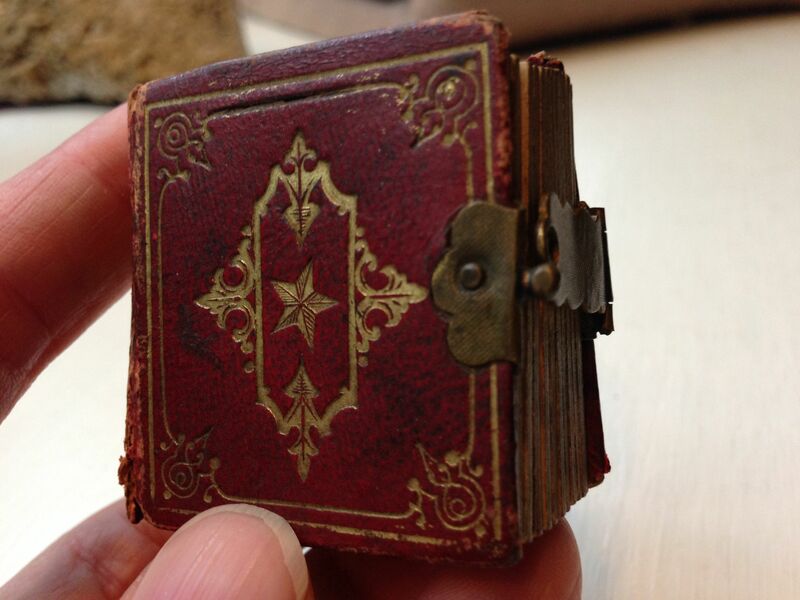 One of my favorite tiny books.